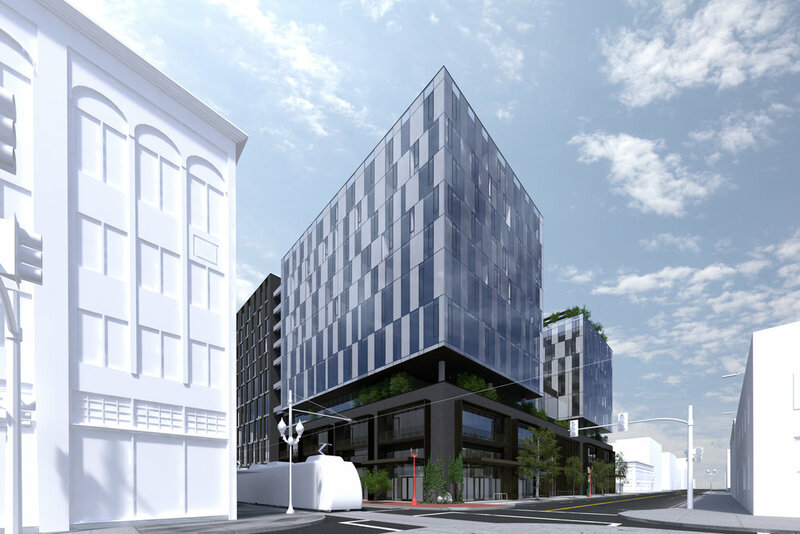 The BLOCK 33 development will usher in a new era of prosperity for the New Chinatown/Japantown neighborhood. The full block project will support retail, offices, and both market-rate and affordable apartments. The project is designed with a steady rhythm of retail apertures contiguous on three faces of the block that will provide vibrant street-level pedestrian circulation. Mid-block on the South of the building, a courtyard has been carved out of the building's podium to allow for outdoor eating and gathering for neighborhood visitors. Both the office and the apartments share a lobby on the NE corner of the building. Underground, the garage provides over 300 parking stalls. The rooftop of the project is home to a restaurant and outdoor lounge that will have sweeping views of Mt. Hood and the Willamette River.